Vancouver guitarist/oud player Gordon Grdina combines post-jazz improvisation with influences from a wide range of world music. “Truthfulness and direct expression are so important,” he says. “It’s when you try and think your way through the concepts that you run into problems.” For this unique set Grdina is paired with Hamilton’s own Dave Gould. 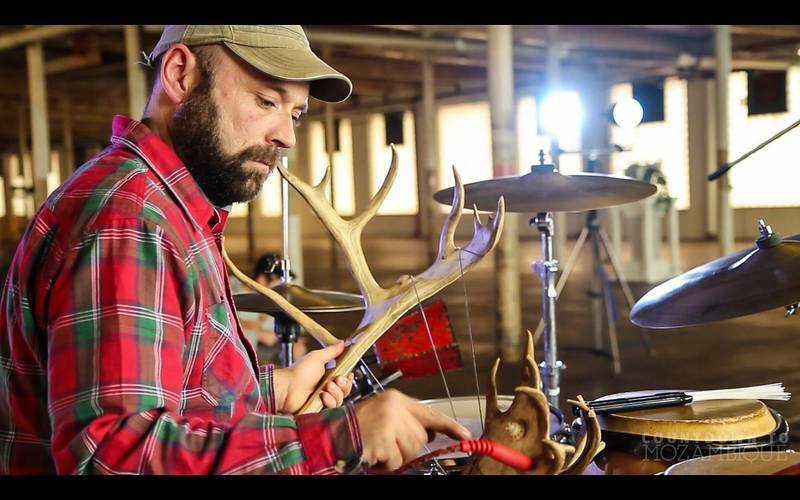 Winner of the 2013 City of Hamilton Arts Award for Performance, Gould is known throughout the city as a percussionist, as a children’s performer, and as a unique soloist whose instruments made from bone and antler open up a new world of improvised sounds. A once-in a lifetime pairing! The Spokes brings together a range of talents to play a distinctive brand of free, cosmic blues. 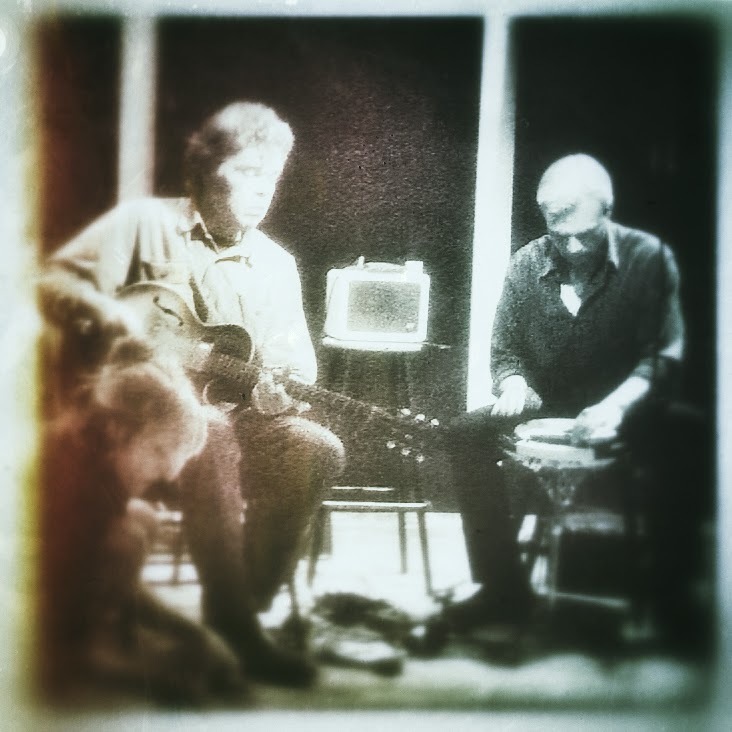 Guitarist Arthur Bull, with his tiny hollow-bodied Gibson, hails from Digby Neck, Nova Scotia, and has played with such luminaries as Roscoe Mitchell, the Bill Smith Ensemble, poet Paul Dutton and legendary British guitarist Mike Cooper. Percussionist Bob Vespaziani is active in both the Blues and Improvisational music scenes in Canada, playing with Snake Oil Johnson, Julian Fauth and Taki Oto. Bassist David Lee, familiar to Hamilton audiences from his work with Gary Barwin and his trio with Chris Palmer and Connor Bennett, also has a long musical resume, including work with such musicians as Al Neil, Joe McPhee and Leo Smith. Their special guest for these Hamilton performances will be local guitar whiz Chris Palmer. Last fall, Zula presented Eschaton on the same bill as the trio In the Sea with the great Tristan Honsinger, Nick Caloia and Jesse Zubot. Zula is proud to present this much-loved Hamilton duo again in this year’s Something Else! Festival.. outside! Aaron Hutchinson (trumpet, synthesizer, electronics, percussion) and Connor Bennett (saxophone, bass, vocals) constitute this soulful Hamilton noise duo, which creates thick textural noise with vulnerable horn expressions, narrative soundscapes that breathe, bend and distort. They have released four cassettes, and a 2014 tour tape out of the HAVN label, and can also be heard on the long-awaited Perdu Hamilton release. Come and listen to Eschaton as they offer a transformative future for Canadian music! Jazz standards and music of Monk, Mingus, Coltrane, Miles, Shorter, Jobim, Porter and more… by enthusiastic Hamilton unit. The Lee Barwin 3 are indicative of the new waves in the arts that are making the Hamilton cultural scene one of the most vibrant on the continent. Poet/saxophonist Gary Barwin has been known for years as the city’s most dynamic and imaginative literary performer … and in recent months, as a bestselling novelist, as his Yiddish for Pirates climbs the Canadian bestseller charts. 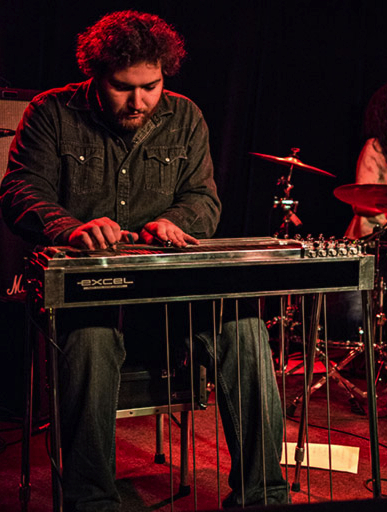 Ryan Barwin is an in-demand Toronto steel guitarist, who has worked with the Woody Allens, Northern Empties, the Mike Plume Band, Local 164, Ray Harris, Uncle Sean & the Shifty Drifters, Lefty McRighty, Pete VanDyk, Single Bed Carousel, the Key Frames, Justin Sawicki, bumpHEAD, and many others. David Lee, as well as authoring the recent Hamilton-based horror novel The Midnight Games, is a visionary acoustic bassist who has played from coast to coast as well as in the USA and Europe. The Lee Barwin 3’s combination of improvisation, texts and textures is like nothing you’ve ever heard.